One of the most relevant games of the past generation returns in this form of remastering, but not without controversy. In this analysis of Dark Souls Remastered what are the novelties of this edition, but also what elements could have gone better. To this Dark Souls Remastered, too many things have happened to him on the way so that he is able to ignore them all. There is no doubt that it makes me think about exactly what a remastering is. If this should be exclusively technical, filing graphics and rough edges, or take the opportunity to change and provide content. In the case of From Software’s award-winning saga , the debate is open to multiple interpretations. First, because Dark Souls II already had a remastering: Scholars of the First Sin . Not only took the game to the new generation, bringing together their (wonderful) DLCs, but also brought a new set of features, such as the alteration of some enemies, their location as well as the occasional new character. Is this what this Dark Souls should have been : Remastered ? 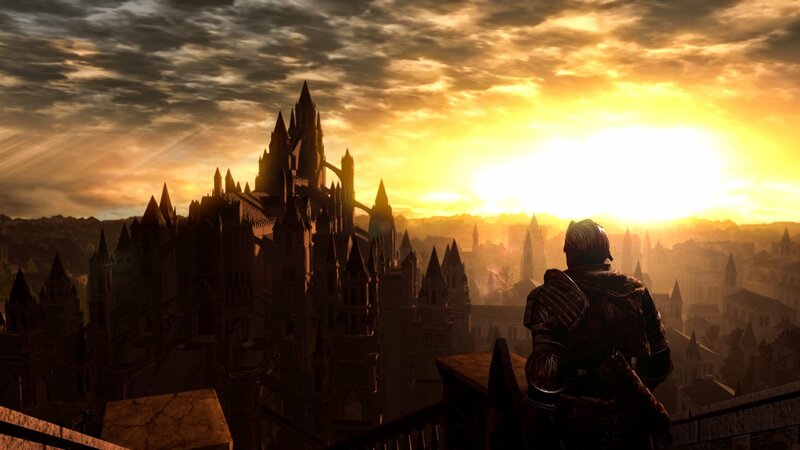 You can, but many others could argue that a work as important as Dark Souls that in many ways has changed the paradigm of the modern video game should be preserved as it came for the first time. On this occasion, by principle, by haste or by laziness, FromSoftware has decided to opt for this decision. I really do not see so much problem here. Having Miyazaki himself as president, they would probably consider Dark Souls a pretty round game in terms of content, while Dark Souls II might have more fringes that could be added. However, this does not mean that this remastering seems to me quite … Automatic , for lack of a better word. It seems that the work put in it has focused more on what could be improved mechanically than artisanal way. And although not all eyes are aware of it, it shows. If we come from the PC Ready to Die version it is somewhat more difficult to recommend this version, since many of the features, such as the frame rate per second or the high resolutions made us enjoy the game in optimal conditions thanks to the good work of the community, and especially with the DS Fix de Durante , which fixed what FromSoftware did not want to do at the time. That said, it is noted that the PC version was not optimized for current computers, especially now, not making use of the nuclei as ideal as it does this remastering, and generating certain bottlenecks that could cause stoppages or downs in the frame rate. Note: This analysis corresponds to the PC version of the Dark Souls remastering: You can check the console version here . The bonfire of the vanitiesThe graphic changes we can see (both for good and for bad) are small, mostly. The trail of souls and objectsnow has a more pronounced and bluish wake. The torches and bonfires have a more powerful fire effect, although the classical form is lost, and in general the work of textures is more defined, with some changes more appreciable than others. For example, the new detail of the mist before the chiefs or the warrior downcast of the sanctuary of the fire link, which now wears a chain mail that looks like what it pretends to be, and not a mere blurry texture. The experience is now much more fluid thanks to a solid and stable frame rate. In general, light now affects more volume and some surfaces, but this is where the automatism of this remastering is noticed. While some environments win in brightness, reflective surfaces and texture detail, others have lost it. Our own character is affected by it, showing some dark parts if the light does not strike properly or not properly reflecting the light in the armor, and even the color. We must say that this effect does not always occur, and according to what moments, the new lighting system behaves better or reflects some of these failures. The playable part is much more interesting, although the details may be, as I say, minor. The most important and crucial are a solid 60 frames per second that remain stable even on the occasions when the original dropped the rate to alarming levels. Rolling through a room full of barrels or going down into the depths of Infested City is not a problem for the rate of cadres. Unfortunately, it lacks advanced options that allow the game to work with the unlocked frame rate when you turn off vertical synchronization . Fortunately, we have resolutions for ultra panoramic monitors, one of the most demanded options that required another patch and with few options to properly place the HUD. 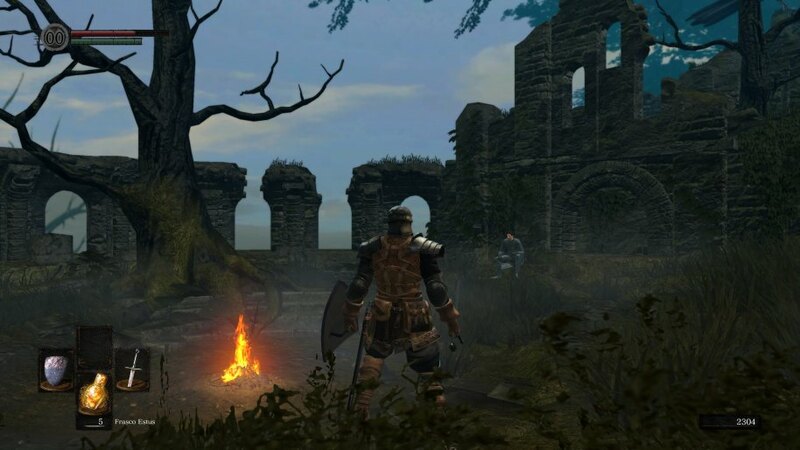 Beyond this, the changes for a player are amenities that are appreciated, such as the possibility of reducing the HUD, make more changes to the buttons, use several objects at the same time, direct access to the Estus by holding the button, change the pact at the stake or even a new bonfire near the blacksmith Come on, which was the hardest access. The PC version surprises us with the possibility of accepting ultra panoramic resolutions, but unfortunately it does not allow to unlock the frame rate when removing vertical synchronization. As for combat , the game remains completely intact, for good and for bad. The original gameplay is respected, but for those players who waited for some retouching in the online contests like making infinite backstabs or small advantages in some movements, they will not find them here. Yes, a system has been implemented that avoids the option of calling an allyin full invasion. The multiplayer also thrives on some improvements. The main one, the possibility of enjoying contests for six players , divided into two invaders and four players. For this, we will have to make use of the Resend Finger that is no longer found in the Painted World of Aramis, but in the merchant of the Burgo of the Undead. 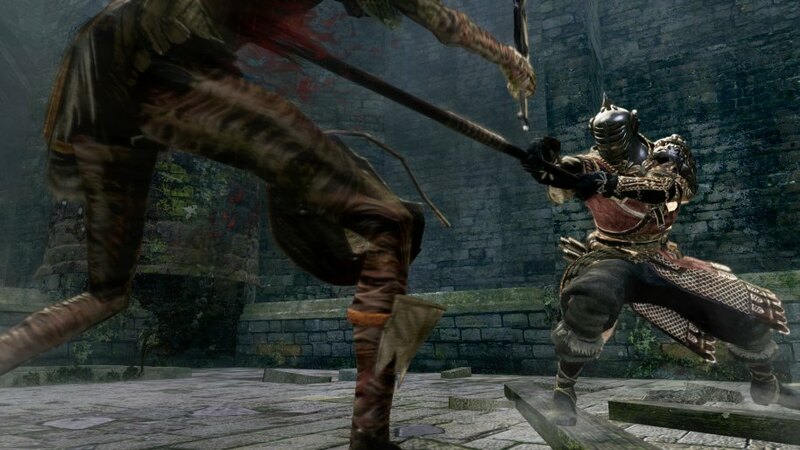 Those who want to enjoy playing cooperatively with friends can do so more conveniently thanks to the password system that was implemented in Blood borne and Dark Souls III, that surely many will appreciate. The difference between the levels of each of the players is automatically balanced. The Arena of the DLC has also been retouched, now allowing 3vs3 battles and also deadly combat between the 6 players. All this, together with the change of dedicated P2P servers , promises to give more life to the game in the face of the constant concern about the closure of servers. 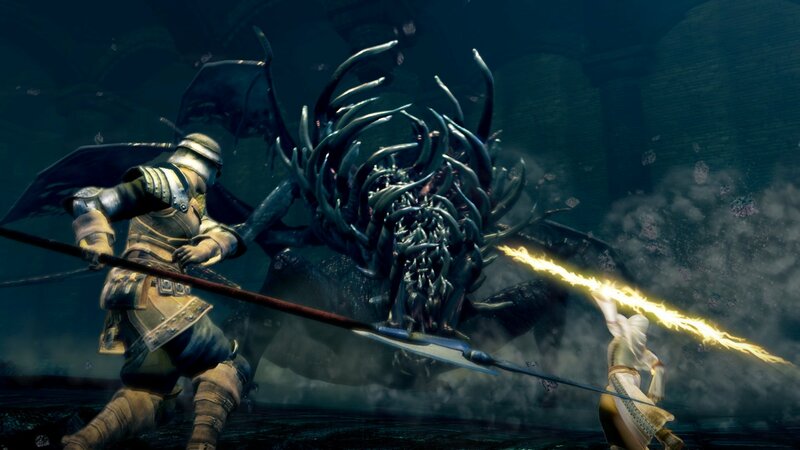 So far, we have focused more on the console version, compared to the previous generation, but we can not forget everything that was at the time the terrible original version of Dark Souls for PC , later arranged by the community. Until now, playing Dark Souls on PC meant manually installing a patch that fixes everything From Software did not want to repair at the time. We are talking about more than five years playing a game completely arranged by the community. Now, the edition of Dark Souls Remasteredof PC will replace that version, losing it completely if you had not previously purchased it and with a 50% discount for those who already had the original. But, in my humblest opinion, this version had to have been free for a community that did not have to learn from .ini file retouching to play in a game as relevant as this one. Not only should it be because other titles like the Skyrim Special Edition or the remastered editions of Bioshock would have done it before. It would have been the perfect occasion to make the community aware that they were aware of the very poor version that was launched at the time, and to thank from the heart the amount of work that was put to get what is the best version of the game. A 50% discount is like giving thanks with reservations. 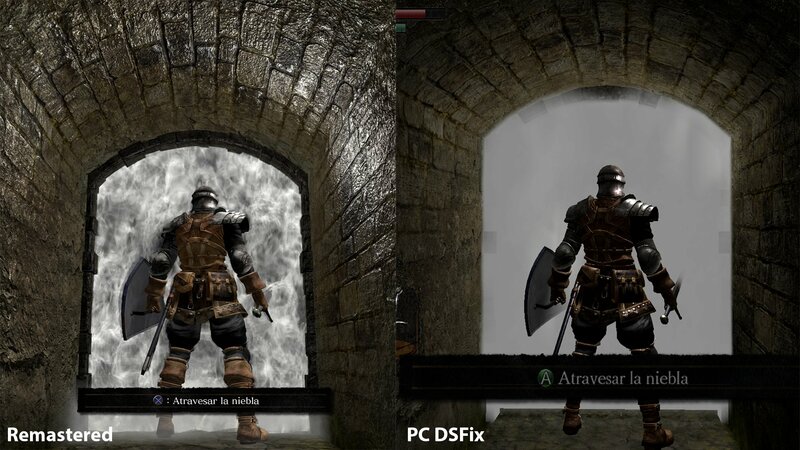 The question is in the air: Is Dark Souls Remastered better than the PC version with the DSfix of Durante? As we have said before, it has all the news and changes that are greatly appreciated, but the work put into the lightinggenerates certain aspects in which the PC version is still superior. Even more with the mods, which greatly improve many of the textures of the original. When Dark Souls Remastered can be modified again, we will be (probably) before the final edition. Some effects improve with respect to the PC version, but others get lost along the way. The result is good, but far from the excellence with which From Software gives its games As you can see, I have mentioned many chiaroscuros that can be noticed much more in the PC version than in the console for what is still one of the most important games of recent years. 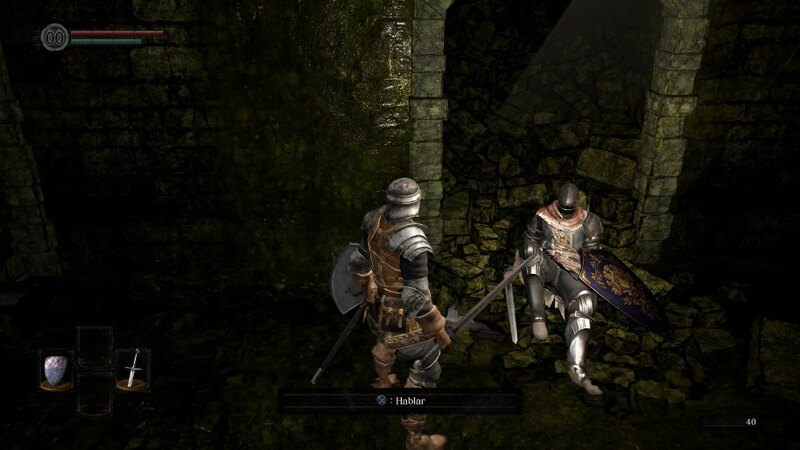 Dark Souls deserved a characterization and, perhaps because of this importance that I attribute, deserved one that was impeccable and faultless, that was more a reason to celebrate on all platforms than a constant analysis to see what improves and what does not. The final result is, in general terms, quite good, because it adds elements that improve and update the experience, but far from the excellence that From Software gives to its works. 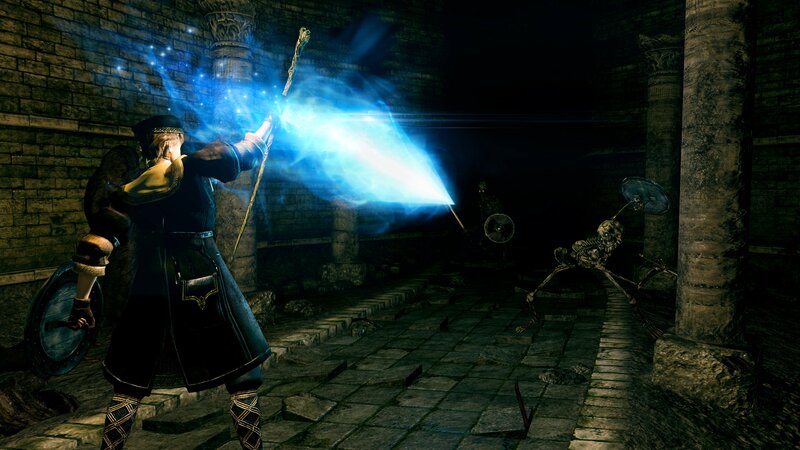 Dark Souls Remastered is a version that updates one of the most important games of recent years. Its improvements in terms of resolution, frame rate, multiplayer and some playable details are to be appreciated, but it is not exempt from other failures due to too automatic implementation. The PC player who has retouched his DSFix has reason to find this edition more irrelevant.